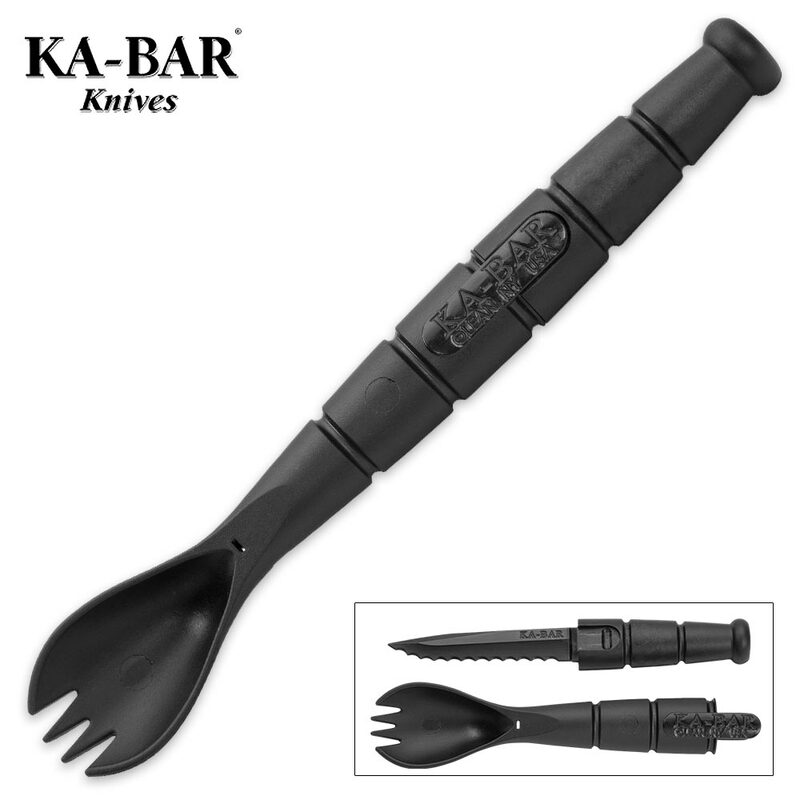 Kabar Tactical Spork | BUDK.com - Knives & Swords At The Lowest Prices! 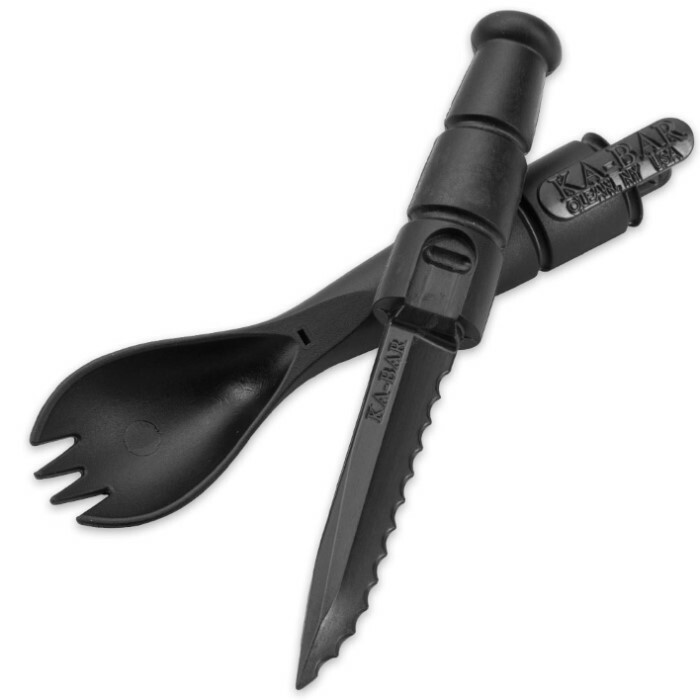 The Tactical Spork, which is made from food and water approved Grilamid, is equipped with a fork/spoon combo and has a serrated knife hidden in the handle. The knife is accessed by pulling the spork in opposite directions from each extreme end. The rim around the bowl of the spork needed to be filed smooth. Otherwise, it could have sliced tongue or mouth when using it. I used a needle (small hobby) file. Now it's smooth all around. 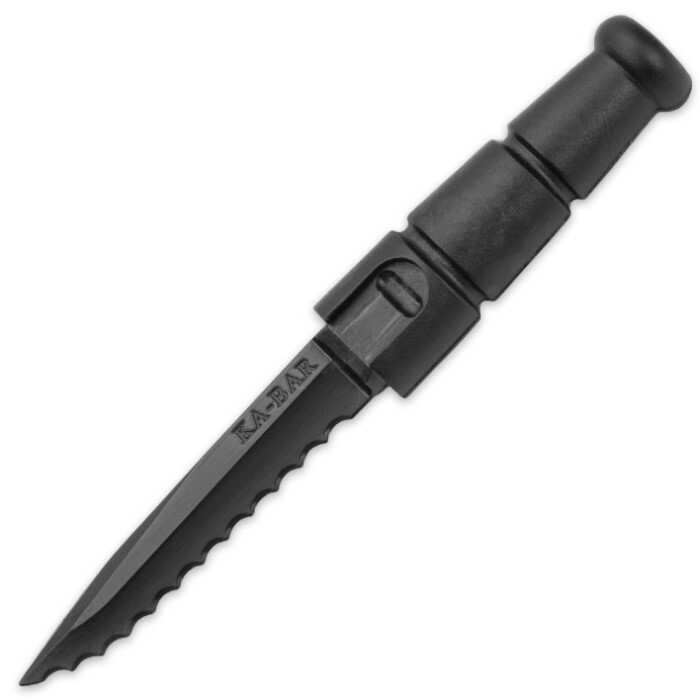 One more thing - be careful pulling the knife out - it doesn't separate easily from the spork. All in all, a useful utensil - I bought 3 of them.